This is the question I asked myself (and google) this week. According to Wilshire Blvd. Temple in Los Angeles, there are quite a few of other more savory options. Among them are kreplach, filled with minced meat or vegetables to evoke the response of stopping and general noise making upon hearing ‘haman’. Some communities will also eat nuts and beans because *legend has it* Esther ate mostly these foods in the court of King Ahashuerus (he didn’t keep kosher). So what about this year’s fun shabbat/purim combination?! 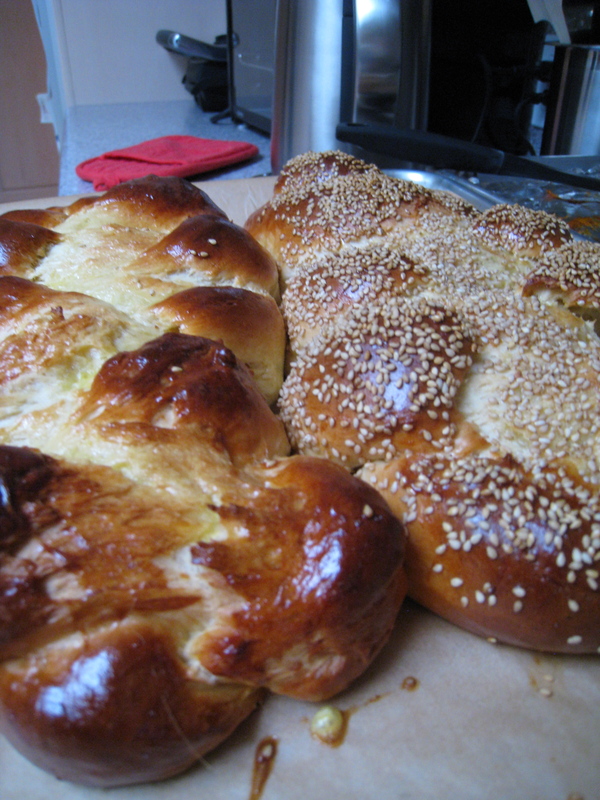 Polish Egg Bread. 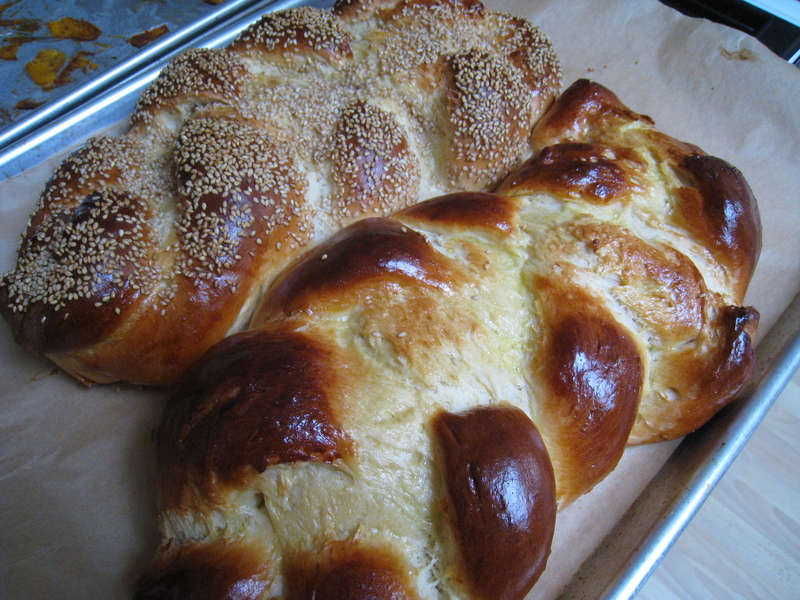 Also known as “koyletsh” (or sometimes spelled: keylitsh, keylitch, koilitch, koylatsh) this is an extra rich challah type bread prepared for special occasions and Purim. Why Purim? Apparently the long strands for braiding are supposed to remind us of the ropes used to hang Haman. So morbid. Add butter, sugar, and salt to scalded milk. Stir to combine and let cool to lukewarm. Place yeast and warm water in a bowl and stir until dissolved. Add lukewarm milk mixture and two eggs and combine. Add 3 cups of flour and mix until smooth. Let rest for 5 minutes. Add the rest of the dough and knead with your hands until smooth. Place the dough in a greased bowl and cover with a damp towel. Let rise until it at least doubles in size (around 2-3 hours). Punch down the dough and divide into three equal pieces. 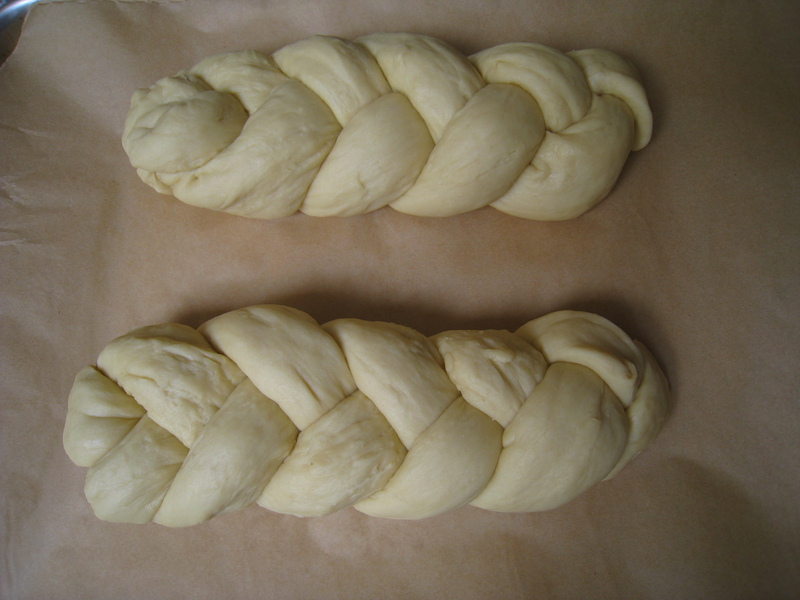 Roll out each piece and braid. Preheat over to 350 degrees. 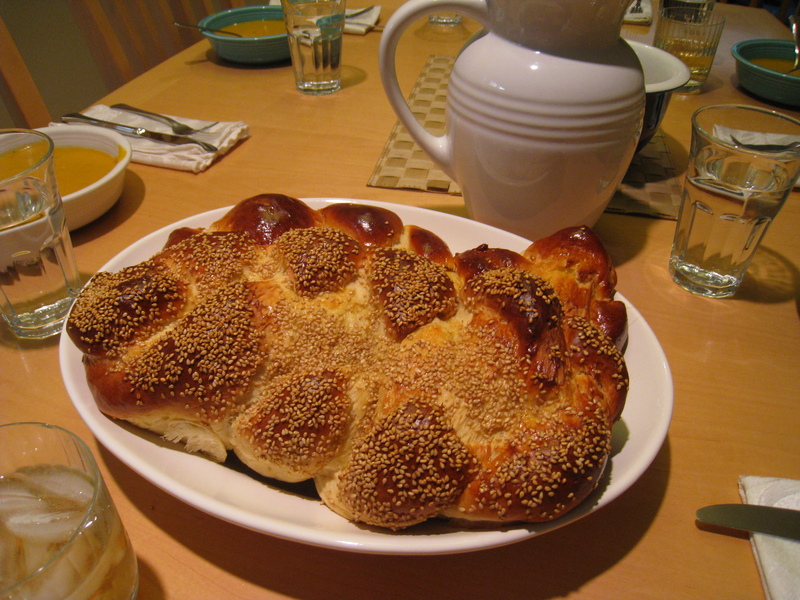 Let the challah rise a second time until the oven is ready. Coat the bread with a beaten egg and bake for 30-40 minutes. Seems to me my Aunt Rae used to put raisins in her Polish Chalah. Do you want me to check? This is great! I found a similar recipe on youtube, my jewish home it was really helpful to see in all in motion!